As the heart is an important aspect of the human body so is the Shopping Cart, the heart of eCommerce platform. Magento Shopping Cart is the interface between an online website and its infrastructure. This software allows your consumers to choose merchandise, review their choice, make necessary addition or modification and finally purchase the merchandise. 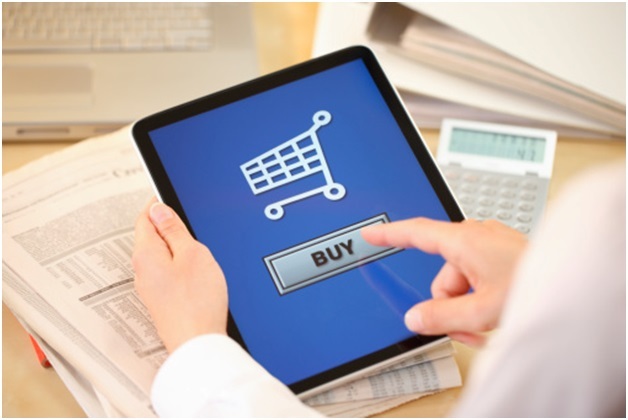 Isn’t this piece of software a great solution for your eCommerce venture? Since its discovery in 2008, the expansion of Magento Shopping Cart has proved to be one of the dominant interactive web application developments with dynamic functionalities. Magento Shopping Cart assists the online entrepreneur to run a smooth web store functioning. So, how about customizing this influential software? (I am sure; you are quite excited with this idea). Well, you must be wondering ‘oh! That’s easy; I can change it right now’ but somehow end up spending more time than expected in the process. Let me inform you that changing ‘Shopping Cart’ to ‘Shopping bag’ needs a lot of effort. However, it is not as difficult as it sounds. Before providing an insight into the custom Shopping Cart, I want to quickly share my experience while integrating customized Shopping Cart in my online store. The main aim of customized Shopping Cart is simply to augment the rate of conversions. Just think about this- how many of your conversions have come directly from your website and how many from other websites directly in the Shopping Cart? You will observe that most of the purchase leads will enter directly into your Shopping Cart. So why not integrate it with your online website? You must provide your consumer to view certain important features like a ‘CONTACT’ button or a visible link to the ‘HOMEPAGE’. By this time, you must be already planning to use your store logo and images to enhance your customer experience while they purchase your products. Therefore, let me help you to go through the steps required to personalize your Magento Shopping Cart. How will you customize the Magento Shopping Cart design? ✔ Log into the Shopping Cart account and click on ‘setting’ and Design setting’. ✔ The default graphics and color when anyone goes through the checkout process will be under the ‘Default’ link. You can see ‘Background Graphic’, Background Color’ and ‘Header Graphic’. ✔ Click on ‘Choose File’ under ‘Header Graphic’ and select an image. This selected image will be seen at the top of the shopping cart when a customer is viewing their shopping cart. ✔ Click on ‘Choose File’ under ‘Background Graphic’ and select an image. This selected image will be seen in the background of the shopping cart when the customer is purchasing your product. If you do not wish to use an image, you can go to the color section and choose that as a background. Under the Background Color section you can type the common color like ‘Black’ or ‘Blue’. ✔ Click ‘Save’ and click ‘View’ to check what the customers will view while they are shopping your products. ✔ Log into the shopping cart account and click on ‘Product’ tab. ✔ Select a product and then click on the edit icon option next to it. Now click the ‘Catalog’ link for your product. ✔ Type a description of your product and click the ‘browse’ button next to the Product Thumbnail and Product Image. The thumbnail will appear in a smaller version and the images can be obtained in full size. As soon as you upload all the images, click on ‘Save’ button. Besides, you will be certainly interested to learn about a set of parameters required to modify various aspects of Shopping Cart’s appearance and behaviour. So, how about learning a few of the important parameters? Well, here we go…. This parameter identifies the time it takes for the Shopping Cart to open and close in milliseconds. This parameter is set to ‘TRUE’ to indicate that the Shopping Cart widget is empty. This parameter will indicate whether the Shopping Cart will automatically open and expand when the users add any items to the cart. This parameter indicates the Analytical tracking code for your website if you are facilitating Google Analytics tracking for Shopping Cart orders. This parameter states the currency that Google will use for product prices, taxes and shipping costs for your shopping cart orders. The default value is USD. This parameter will indicate the type of name you want to exhibit for your standard shipping option. Thanks for your grateful informations, am working in Ecommerce web development company india, so it will be helpful info for my works.